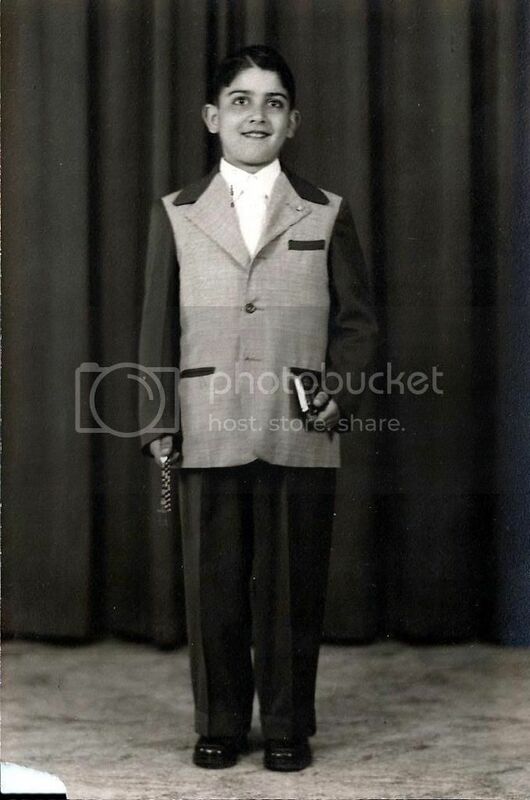 Born 1925 in Palermo, Italy, but moved to Philadelphia, Pa, with his family in the early 1930's. 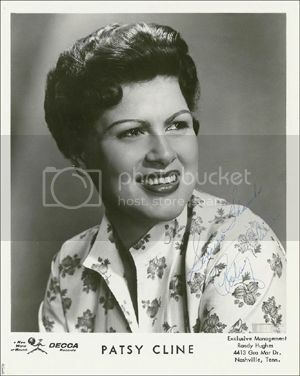 Recorded for Arcade and Skyrocket records in the mid to late 1950's and had an album and EP released by Arzee records in the 1960's. I picked this platter up at one of the many record fairs I attended back in the early 80's (I did a lot in the early 80's) mainly because I wanted a 45 in my collection by an artist beginning with the letter Z.
I was amazed and surprised how good 'I Saw You Cheating Last Night' is. A nice little country Jiver, that I tried to bop to at the time but it didn't make me look cool at all so I stopped doing it. The guy that invented the Moonwalk (that dance that Michael Jackson is famous for) was one hell of a singer too. 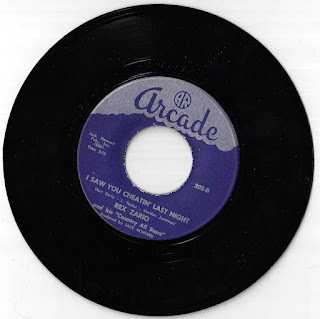 If I remember correctly I grabbed this 45 from Craig Moerer records by mail in the early 80's. An excellent double A side in my opinion. Back in 2001 I got into the fantastic world of computers for the first time, and I soon discovered a wealth of my kind of music hidden (at the time) amongst the humdrum pop music of the day. I came across a song called 'Starlight Starbright' by The Boppin' Boozers. I loved the sound of the female vocalist, something in the way she delivered the words of the song. 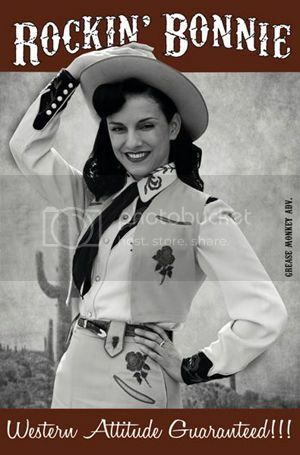 After buying The Boppin' Boozer's 2002 CD 'Honky Tonk Mind' I soon discovered that Ruby Ann was a force to be reckoned with. She purrs, she can growl, she can sing like Patsy Cline but still sound like Ruby Ann. She makes you sit up and notice and more importantly...listen. 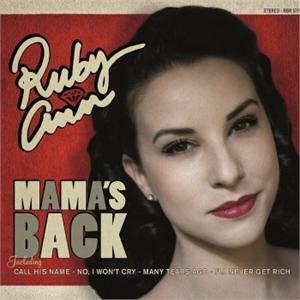 Ruby Ann’s long awaited new CD ‘Mama’s Back’ was released by Rhythm Bomb records at the beginning of December 2011 and is now on its second pressing. It comes nicely packaged with very informative liner notes from ‘The Beat Beats’ main man, Jerry Chatabox. 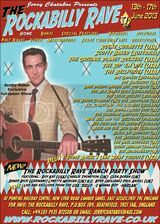 ‘Mama’s Back’ is an excellent mixed bag of our music, covering all the styles from Rhythm & Blues (50s) Rock n Roll (50s and early 60s) Country pop (60s) and of course Rockabilly. The CD has 14 tracks of well produced tunes with backing from Germany’s own ‘The Round Up Boys’, who compliment Ruby’s amazing vocal range and delivery. One of my favourite tracks on the CD is Ruby’s version of Johnny Strickland’s (of ‘She’s Mine’ fame) ‘I’ve Heard That Line Before’. 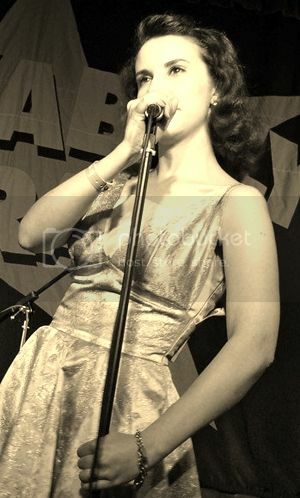 Ruby’s version is similar to the original, but I believe vocally Ruby performs/sings it better; it’s a haunting bluesy tune and so different from my preferred Ruby Ann style of singing, which is of course...rockabilly. 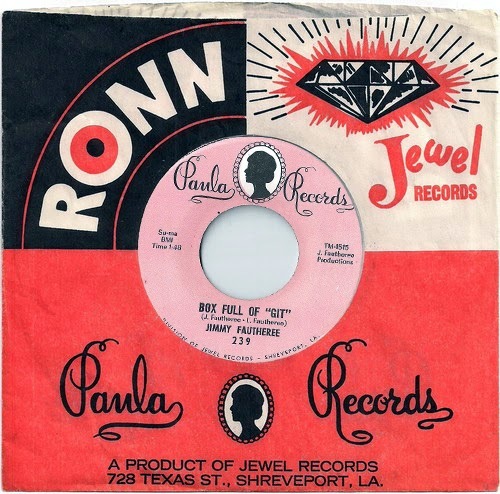 Ruby’s take on Carl Gillion’s ‘Do Right Daddy’ and Carl Mann’s ‘Baby I Don’t Care’ satisfies my hunger for good rockin’ Sun styled music and Ruby certainly delivers these two numbers with her well loved style...Ruby-Billy! 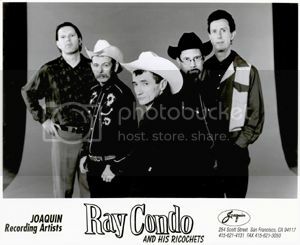 The country inspired ‘Who Been Fooling Me?’ written by the multi-instrumentalist Axel Praefcke, who also produced the CD, and ‘Many Tears Ago’ are in the style of early 60s pop inspired country music; think of Patsy Cline circa 1962 with the added attraction of the Ray Price shuffle beat, a very cool sound but definitely in the style of Ruby Ann. This release gets the full 10 out of 10 marking from me; for the CD package design, production, musicianship and Ruby Ann’s wonderful voice. Welcome back Mama, Europe has missed you. 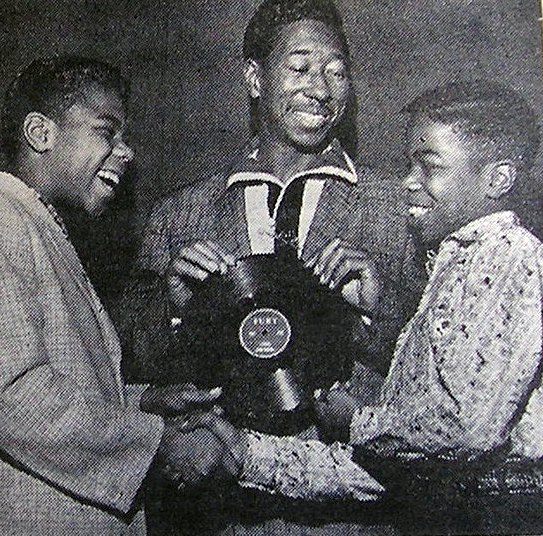 Frankie Lymon's little brother Louis always seemed to be in his older brother's shadow. There will always be comparisions between the two. They were siblings and yes they did sound alike. 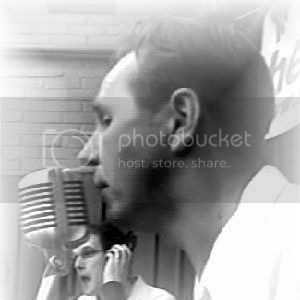 Hank Williams JNR was once accused of sounding too much like his dad Hank. It is in the genes, get over it! 'I Found Out Why' is Lewis's answer to Frankie's 'Why Do Fools Fall In Love' and it's a good record in it's own right. 'Too Young' is my prferred choice of the two. Both move along at a nice pace. I've never seen the film 'Idle on Parade' (a parady on Elvis' induction into the US Army that was released in 1959). But I have always loved all the tunes on this EP from Decca Records. 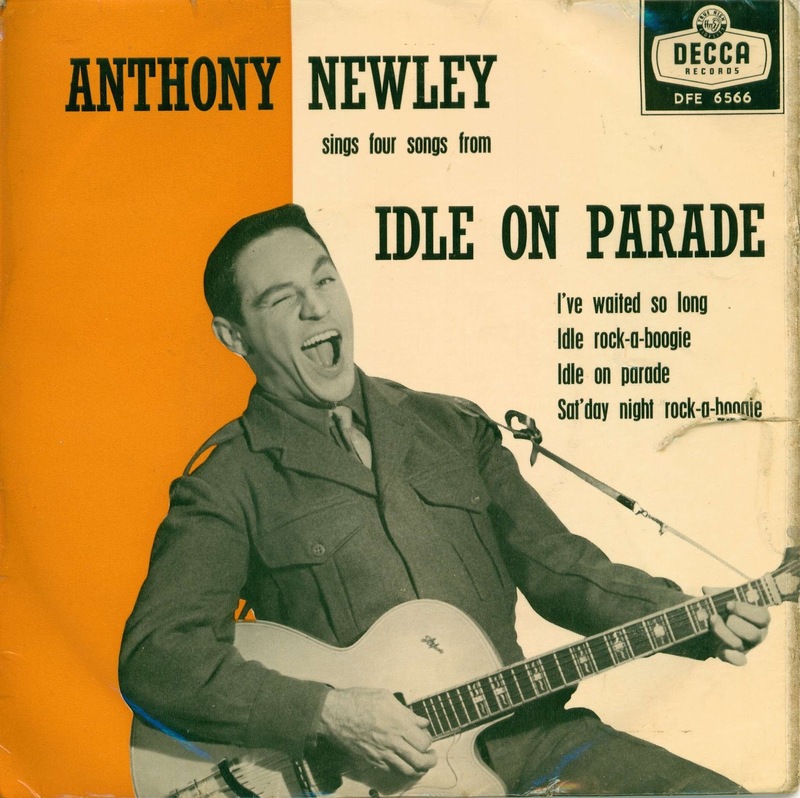 If you listen closly enough you can hear the similarity to Tommy Steele and Jim Dale (I can anyway) so it's definately a British rock 'n' roll record, and not British rockers trying to do an Elvis. I've had this record since my teens, unfortunately without the cover, but I found them posted on the net and included them in the download. 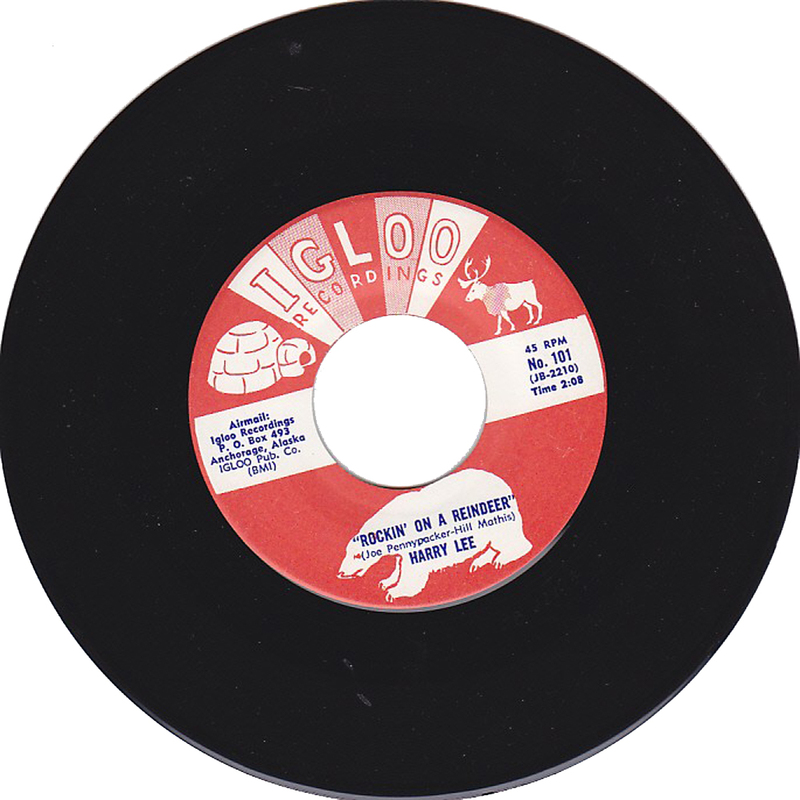 Both sides of this 45 were written by Alton Lott, the cat that gave us 'I Got It Made in the Shade'. 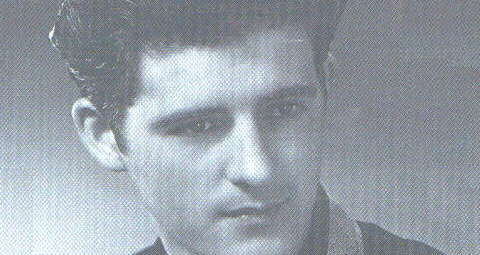 Harry Lee Hutchinson was a disc jockey in Jackson, Miss. 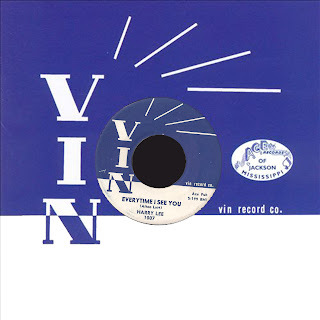 A little on VIN RECORDSVin Records was a short-lived subsidiary of Ace Records, the Mississippi-based label behind many New Orleans rock & roll and R&B records. 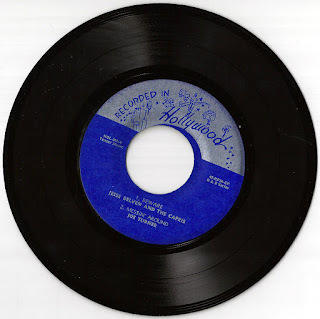 VIN had a good share of this market too, but ventured into rockabilly with a pair of singles by Jimmy Lee of Jimmy & Johnny fame and Halloween novelty music. 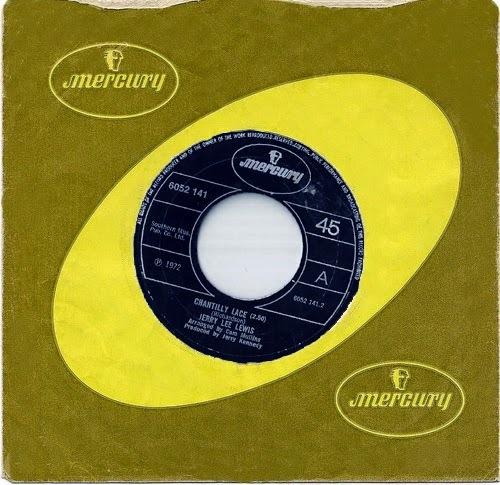 None of the VIN singles charted nationally, a number of well-known artists such as Huey "Piano" Smith and Jimmy Clanton are featured, as well as productions involving a young Dr. John when he was known as Mac Rebennack. The Harry Lee ﻿on Igloo records is not the same singer as the VIN records Harry Lee. Thanks for the info Mellow. Back in the late 70’s/early 80’s I was buying a few records from Craig Moerer from the USA. He was a cool guy that sent me a cassette tape of 30 second segments of records he thought might be of interest to me. I bought a few 45’s from him over a period of time (until I got married and had other stuff to spend my money on). One of the tunes on that cassette was an instrumental called ‘Box Full of Git’ by Jimmy Fautheree. The flip side was a re-recording of ‘Can’t Find the Door Nob’ (it’s spelt Nob on the label). The B side is just Jimmy singing without the harmonies of the original, it works well, in fact this was the first version I’d heard of the song. When I finally got to hear the original I was equally impressed. Born James Walton Fautheree, 11 April 1934, Smackover, Arkansas, Died 29 June 2004, Dallas, Texas. 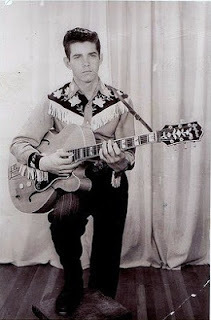 When Jimmy was 12 his aunt bought him a guitar which he soon mastered and at the age of 16, he debuted on "The Big 'D' Jamboree" in Dallas and made an impression with his hot guitar playing. He was signed to Capitol Records in 1951, where he was renamed Jimmy Lee. 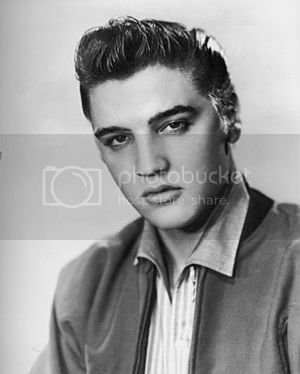 In 1953 he teamed up with "Country" Johnny Mathis. 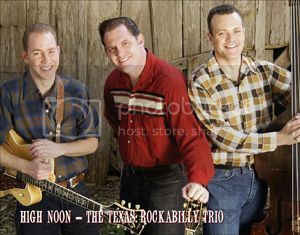 They were billed as Jimmy and Johnny on the Louisiana Hayride, and were managed by Tillman Franks. 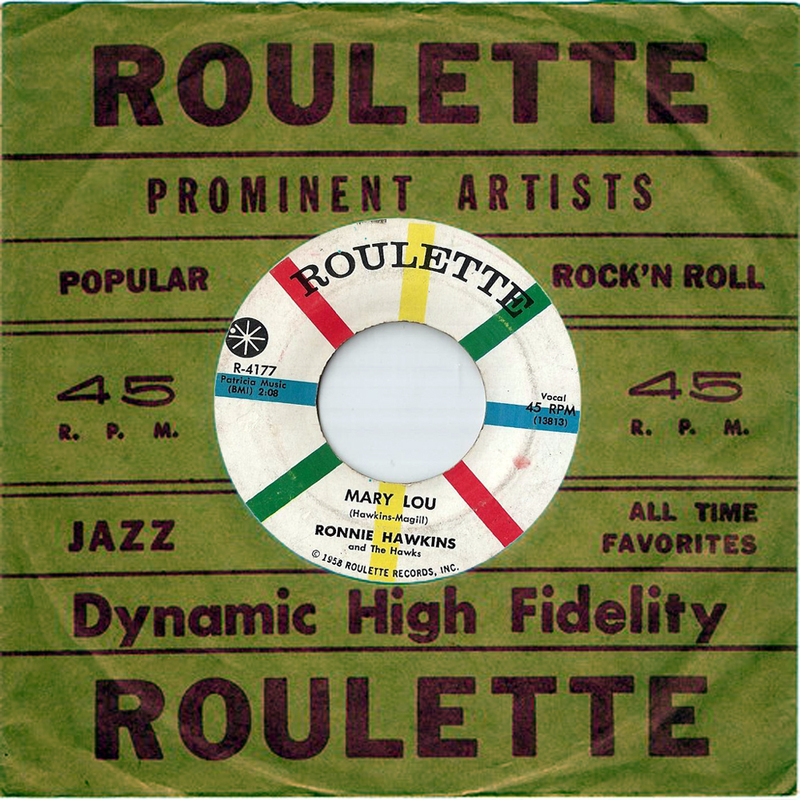 In the autumn of 1954, the duo crept into the Country Top 10 with "If You Don't, Somebody Else Will" (Chess 4859). Jimmy then teamed up with his brother Lynn ( the new "Johnny"). 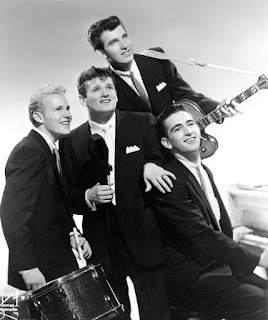 Together they recorded some classic rockabilly sides for Decca, including "Sweet Love on My Mind", which they recorded on July 25, 1956, a few weeks after the version by the Johnny Burnette Rock n Roll Trio. 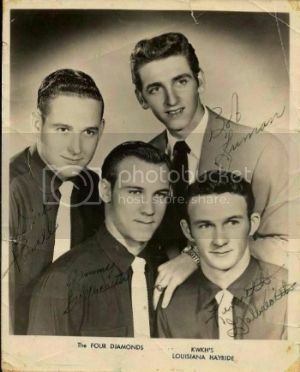 The brothers moved to Nashville while they were under contract to Decca, but returned to East Texas when that contract ended in 1957. The next few years found Jimmy Lee reuniting with Johnny Mathis, though both men also made solo records during this time. 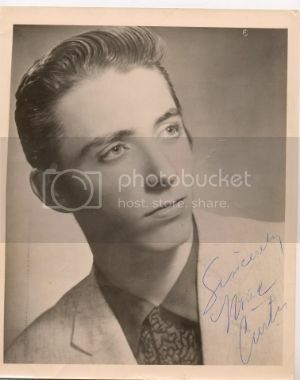 In 1958, Jimmy recorded (As Johnny Angel) the excellent, "Baby It's Love"/"Teenage Wedding" (Vin 1004), he was backed by Cosimo Matassa's studio band. A second Vin single, "Look What Love Will Do", was released under his own name. In 1958 they released another rockabilly classic, "I Can't Find the Doorknob", on Pappy Daily's D label. 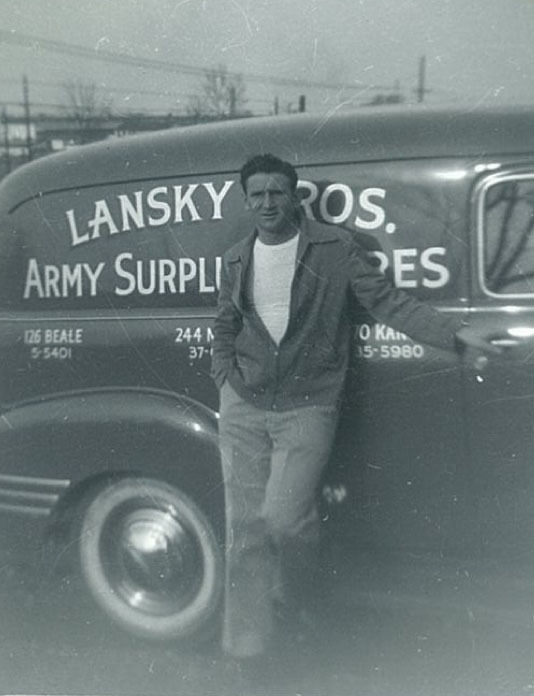 There were further Jimmy & Johnny releases on D and Republic, but sales were poor so Jimmy eventually moved out to Farmington, New Mexico, to join in the family asbestos installation business. 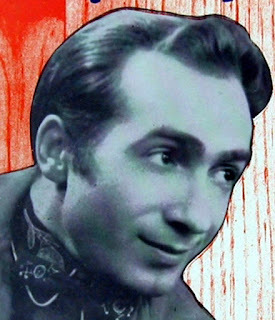 In the sixties, Jimmy recorded as Jimmy Fautheree for small labels like Paula, Lodema and Town House. Later he turned to gospel. 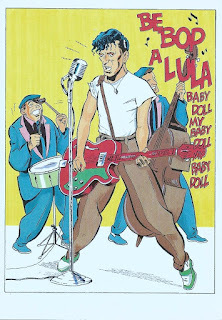 Not long before his death, Fautheree's rockabilly career was revived. 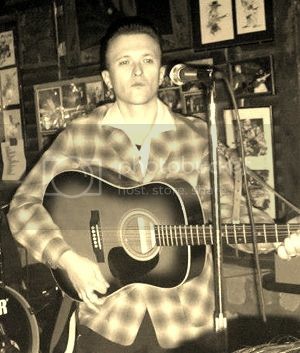 He performed at the Rockabilly Rave in Rye, Sussex, England, in March 2004 (his first-ever gig in Europe). He was backed by Deke Dickerson and his band, the Ecco-Fonics (with a young Eddie Clendening on rhythm guitar). The Ecco-Fonics recorded a CD with Jimmy in 2003. Howard Cockburn wrote in Now Dig This (issue 253, April 2004): "What a truly wonderful set! Ten out of ten in all departments, HIGHLY RECOMMENDED”. 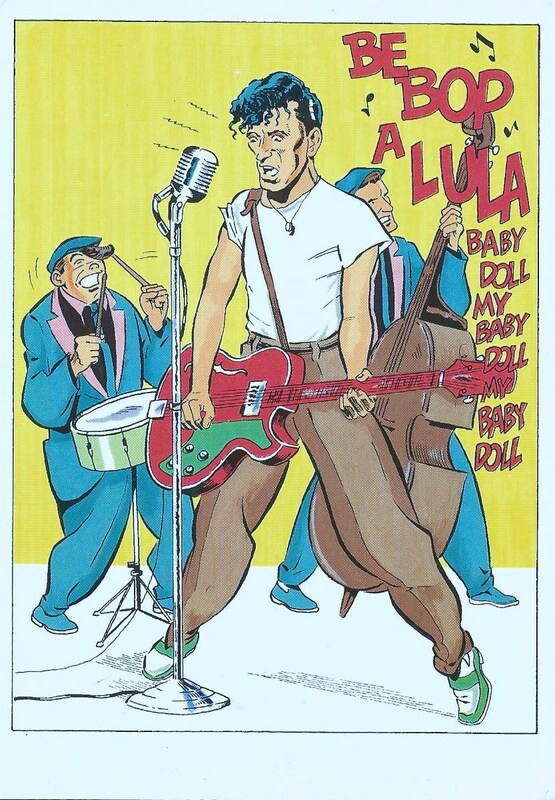 During the Rockabilly Rave, Jimmy was already in advanced stages of cancer. After his condition worsened, he had to cancel appearances at Viva Las Vegas and the Ponderosa Stomp. He died on June 29, 2004, at the age of 70. Thanks to Tapio for Jimmy’s discography. There was a time when Chantilly Lace just meant The Big Bopper to me, but this version by Jerry Lee Lewis gives JP Richardson a run for his money in my opinion. It's a double A side I picked it up in a sweetshop that sold ex Juke Box records for 5 or 10 pence in Tooting SW London probably around 1975. Corner shops were real cool places back in the 1970's were I could pick up the odd rock n roll ex-jukebox records for a song. I was still at school at the time and had heard The Big Bopper's version but I didn't have a copy of it at the time, so I bought it on the off chance it might be good. HELL MAN IT WAS BRILLIANT! Cool rockin' tracks and not your usual Christmas tunes. 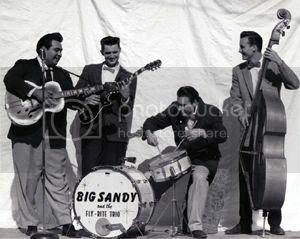 Sandy Scott, Jack Scott, Pep Torres, Rockin' Bonnie and more. 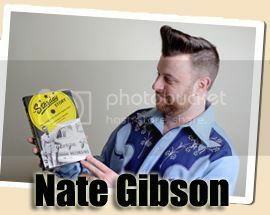 A real mix of old and new; rockabilly, doo-wop and jive. I picked up this record (in the late 70's) mainly because I loved White Lightning, but over the years Scarlet Ribbons has become my chosen side of the two. Gene's voice is in fine form. Recorded with session musicians including the return of lead guitarist Johnny Meeks with a 23-year-old Linda Ronstadt on second vocals. 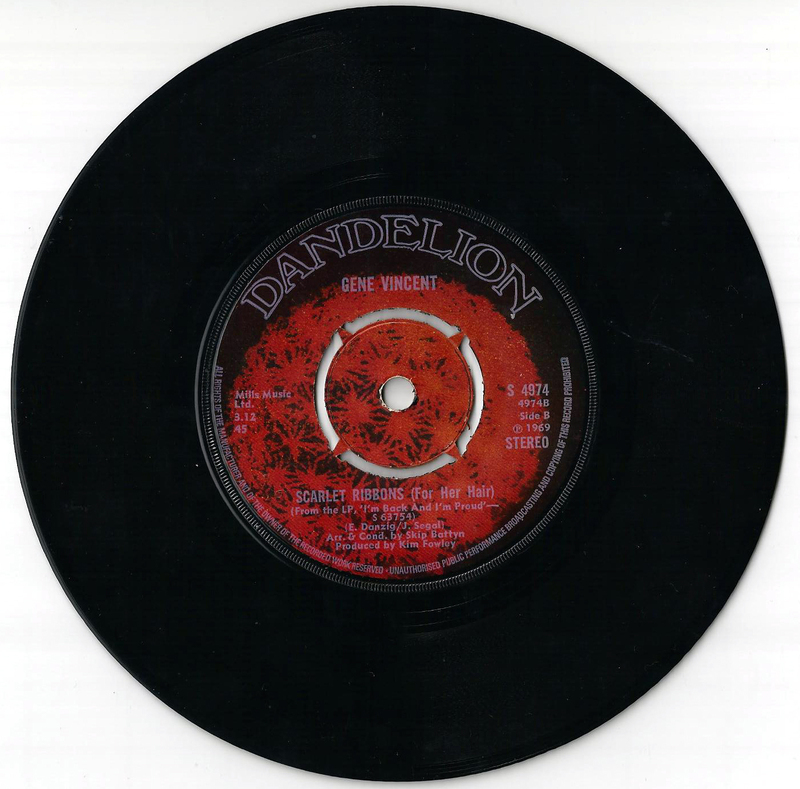 Dandelion Records was a British record label started in 1969 by John Peel as a way to get the music he liked onto record. Sorry but I don't have this on vinyl 45. I posted this on the web a while ago and I was surprised how little interest it received. 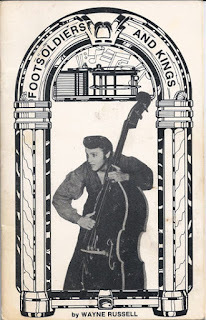 When I first came across this little book as a teenage rockabilly I was immediately drawn to the cover photo of Elvis slappin' the bass. It didn’t get much cooler than that in my opinion. I know with the Internet these photos are easy to find, but back in the late 70's and early 80's this kind of stuff was heaven sent. And I dig the fact that I've still got the wee book, the kindle will never replace the feeling of turning a page, not in my lifetime anyway. But you never know. I've scanned the pages and saved them as jpeg files. Way back in my teenage days the most exciting part of my day was smootching with my current squeeze to a cool Doo Wop or R&B record. And this little piece of vinyl was a perfect compliment to that activity. 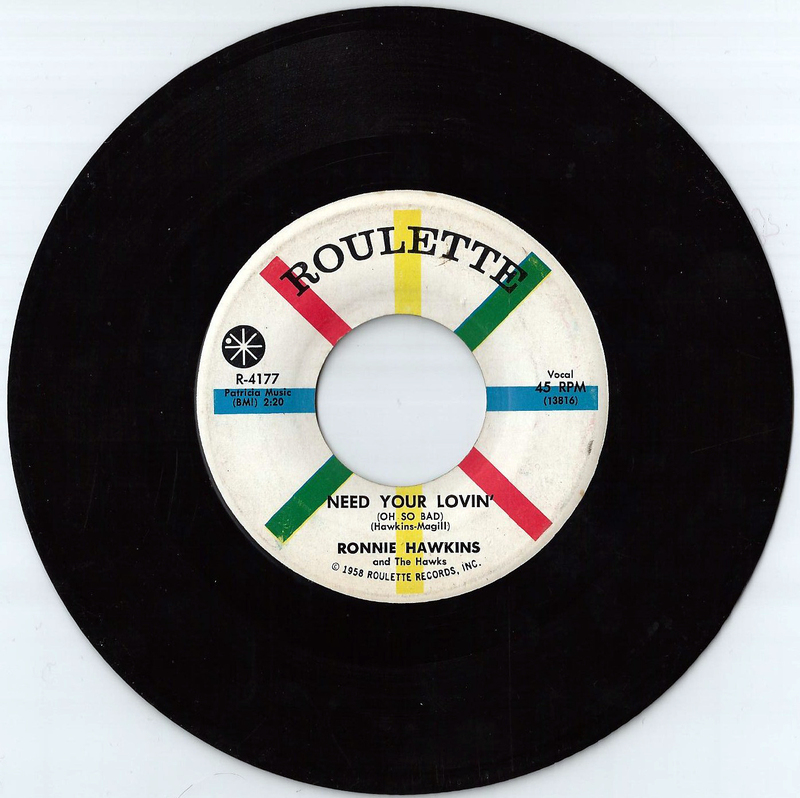 The Joe Turner and Roy Hawkins tracks keep the feel of slow R&B pace of a romantic evening flowing, before ending with Annisteen Allen's cool little jiver which makes a perfect ending to a cool little EP. Unfortunately this release falls into the Bootleg catergory. After searching the internet I came up with nothing on this vinyl EP. I had some help from 45rpm at RockHall and he came up with the same opinion. Oh well never mind, but I'm still mighty pleased I have a copy. THE SCATMAN IS GONNA GET YOU! I first posted this review back in the summer somewhere on the Internet. So this is a re-up but with a show download included. 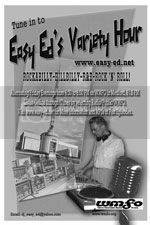 Scatman’s comments and views are not always the views of RockabillyDukeBox! 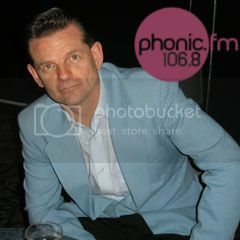 For a show with a mixed bag of rocking tunes covering the full range of our music (Including Rockabilly/Vintage Rock ‘n’ Roll/Hillbilly/Doo wop/Rhythm ‘n’ Blues) then Scatman’s Rockin’ Radio Show is one not to be missed. All original music from the golden age is played here; no modern rocking bands are given a look in. I love the newer take on rockabilly (but not psychobilly) music, but I do not miss the fact that Scatman does not play these on his two hour show. 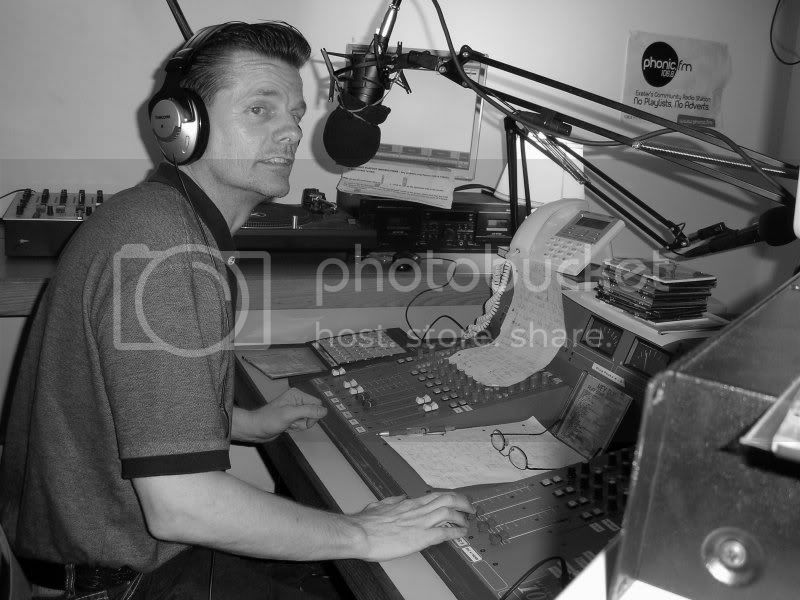 His program is so different to the all of the other rockin’ online and radio shows out there, because Scatman only plays the music he loves. He asks his listeners for their requests, but ask at your peril! If he does not like your choice of music he will not play it and further more he will tell you why not - no holds barred. He also comments on modern television programs and adverts, often producing amusing rants. This is one hell of a show, I have only recently discovered it and I am totally hooked. Click here to download his full show, recorded on 10th November 2012. Another thing about this program is that it goes out live on every other Saturday between 4pm and 6pm (U.K. time) so you can get in the mood before you go your local rocking club later on in the evening. It is worth remembering that this cat likes a laugh and a few times it is at his listeners' expense. I e-mailed my request while his show was live on air. Thankfully he liked it and he let me off lightly with the Mickey- taking (something about Orkney, me and sheep) I was thinking of telephoning in whiles the show was on air, but I will need to become a lot braver before that happens! I picked up this platter at a record fair in the early 80's. I digged both of Charlie Feathers versions of 'Get With It' I had heard at that time and was intrigued to know what this version by Marcus Van Story sounded like. Many moons later with all the new technology and the Internet about, I found out that Charley was involved with this record. Which makes me wonder if he recorded anything at this session? Five singles make up this excellent release from Decca Records. 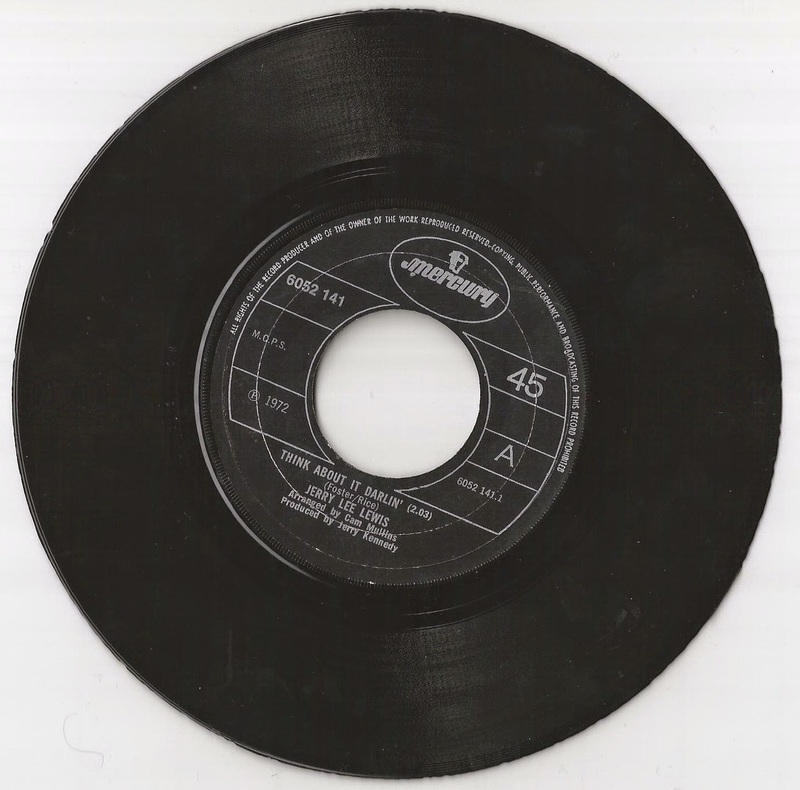 All of the singles play at 33 1/3 rpm. I picked up this little collection up at a record fair in central London (WC1) in the late 70's. The 5 singles come with a brown paper sleeve. I also got 5 juke box labels with my purchase. The front cover and rear cover are identical. The whole package looks so vintage and that sounds strange as it was a 1964 release date. I believe this was released alongside the full L.P of the same name. I know very little else about this release. The singles in the mini collection are listed below. Any other information would be welcomed. 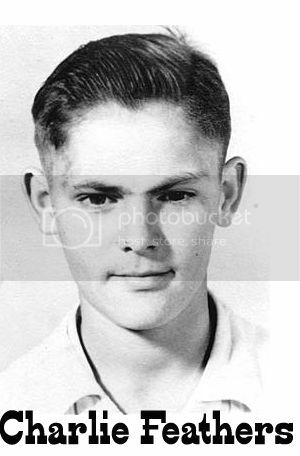 Franklin Delano Gulledge was born in Combs, Arkansas, in 1932. He lived his early years during the depression, and was never far from the edge of delinquency and very close to going over the edge (according to music scholar Wayne Russell) when he pulled a pistol on a teacher. At the age of 14 he had left school and was riding the rails and living life as a hobo. He was 17 when the Korean War intensified and he signed up. An officer who knew of his musical ability assigned him to the special services rather than to a combat unit, where his fate might have been very different. He formed the Arkansas Plowboys from the ranks of fellow southerners and survived his two years in South Asia, coming out a little bit straighter in life than he'd gone in. He drank, sometimes to excess, but he did try regular work in a factory in Kansas before moving to California. There, he and his brothers Bob and Clark formed a new group, also called the Arkansas Plowboys. Billing himself as Frank Starr, he played lead guitar in the band and soon realised that he was a better singer and musician than his soblings, but he was also more serious about making it big in the music business. 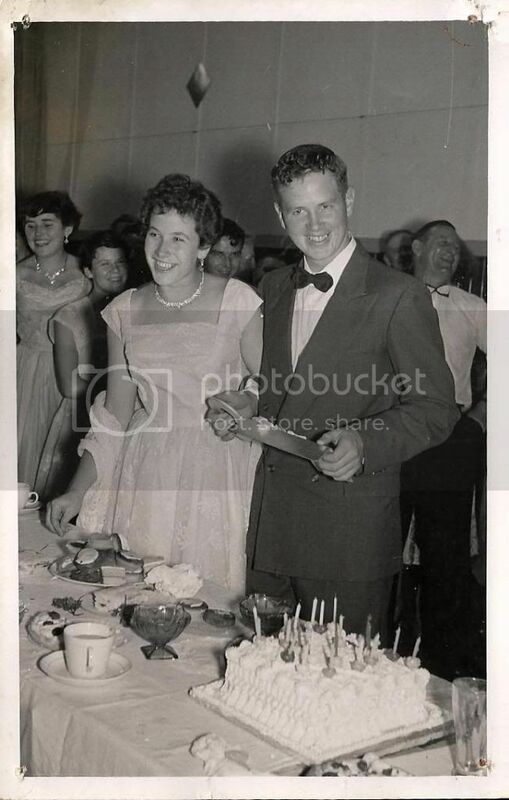 So he packed up and for Texas, and in the early 1950's was scratching out a living around Denison for two dollars a night, working some of the roughest roadhouses and shanty-town clubs in the state, catering to military personnel and anyone else brave enough to enter. Undaunted by this he hung on and built a reputation for doing an exciting show and generating a hot rockin’ sound. In 1955 he got a spot on local radio into an audition for Joe M. Leonard Jr. of Lin and Kliff Records. Leonard was impressed enough with Frank to have him cut four sides, two of which, "Dig Them Squeaky Shoes" and "The Dirty Bird Song (You Can't Hardly Get Them No More)", become his debut single. Although neither his first nor his second singles were hits, Frank managed to get work on the same bills with the likes of Porter Wagoner and Grandpa Jones. He also occasionally wrote songs, including "Rockin' and Reelin' Country Style." 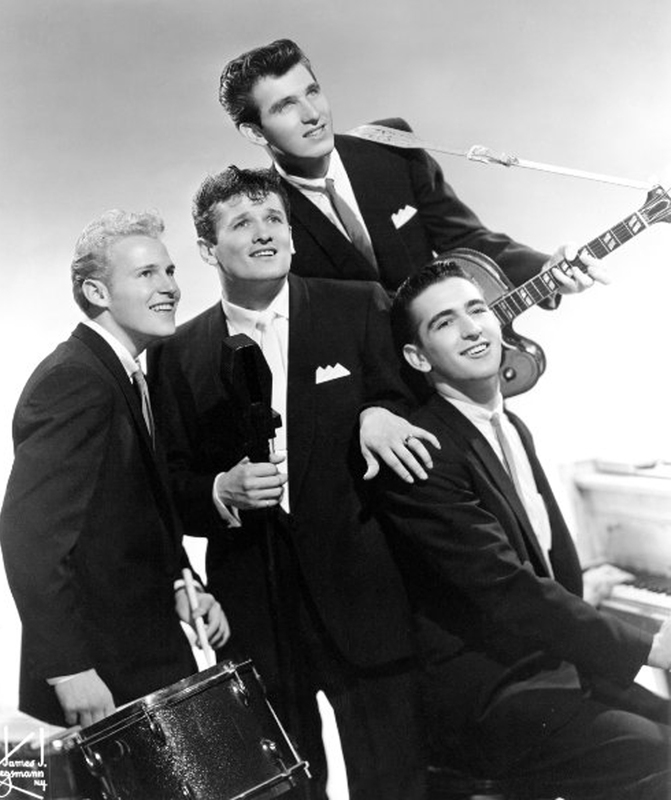 Then, in 1956 Frank became Andy Starr as another singer was using the name Frank Starr in California. Joe M. Leonard Jr. was unfazed by this, and was prepared to continue recording his most promising rock & roll act. He got Andy Starr placed with MGM Records, which resulted in the release of the classic ‘Rockin Rollin Stone’ b/w ‘I Wanna Go South’. 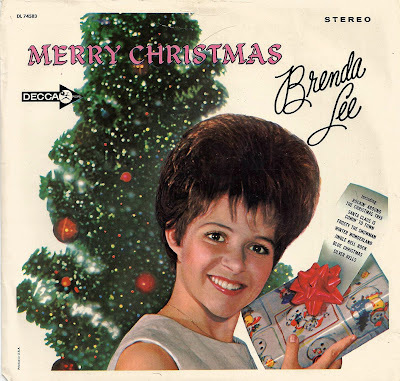 The record received popular local success. But his next release ‘Give Me a Woman’ failed to course even a ripple and this was probably the reason Frank left for Alaska for five years and this decision stalled whatever career momentum he might have built up at this time. 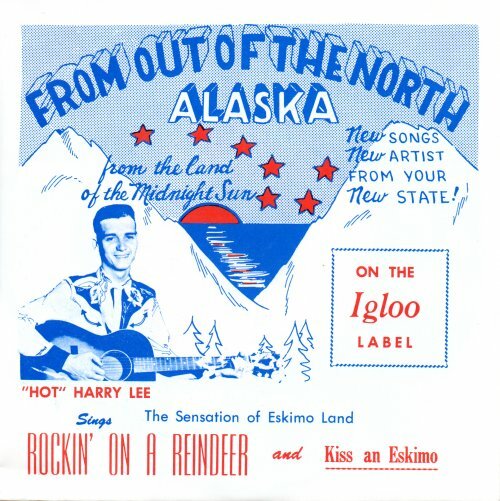 He recorded as Frank Starr in Alaska and he seemed to have kept name he went to record a couple of tracks for Holiday Inn Records in Memphis Tennessee 1962. The vinyl record 45 I own is a promotional copy and leans more to the strollin’ side of rock n roll than the hot rockabilly of his MGM recorded material. Tom & Jerry were formed in 1957 and had their first success with the minor hit 'Hey, Schoolgirl' b/w 'Dancin' Wild', hitting No. 49 on the Billboard charts. 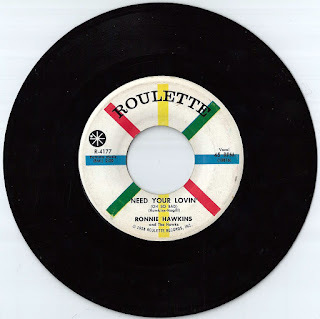 I can't remember where I came across this 45. But I do remember the record dealer telling me how much they (Tom & Jerry) sounded like the Everly Brothers. I was more intrigued by the songwriters on the vinyl being Simon & Garfunkel. I've added label scans in the download. I found the following pictures on a market stall in London Fields, Hackney. 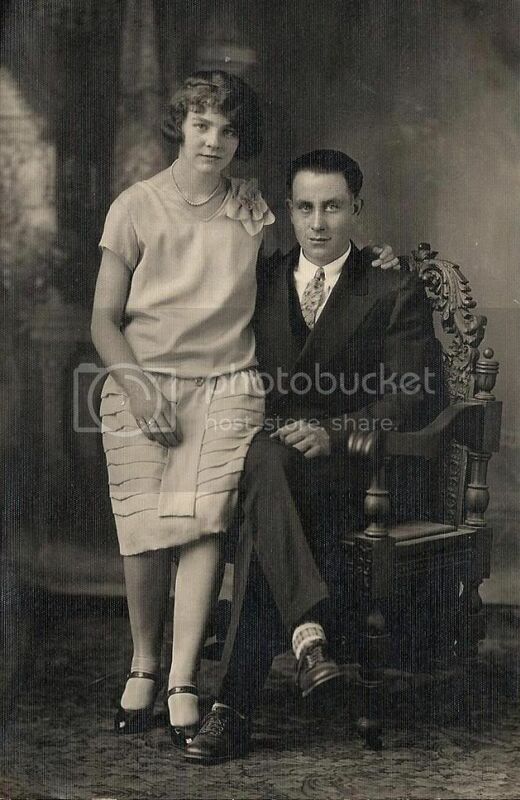 as late 1920's early 1930's. 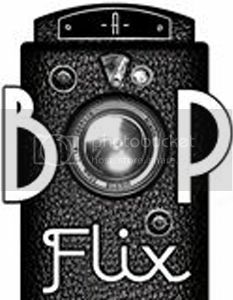 The photographer was E.F BUCHAN of Worthington, Minnasota. 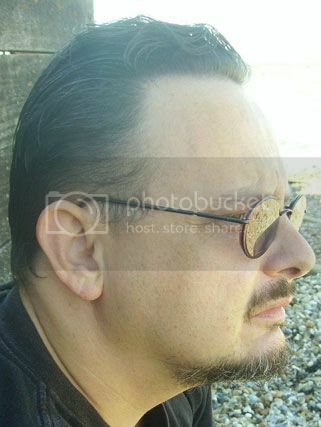 Photo by Bachna Studio, 4203 Clark Ave, Cleveland, Ohio. Date unknown. 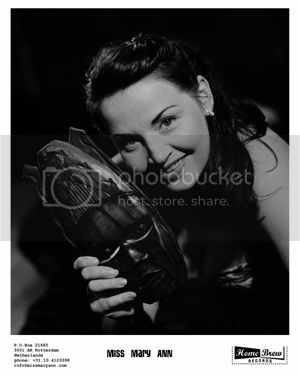 I have a name for the lady in this photo. 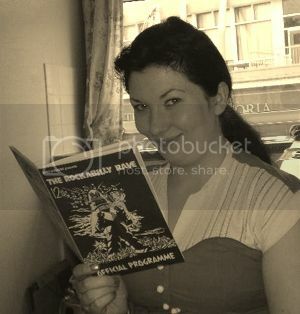 Heather Read at a party. 58 Clevedon Road, Papakura (poss New Zealand). 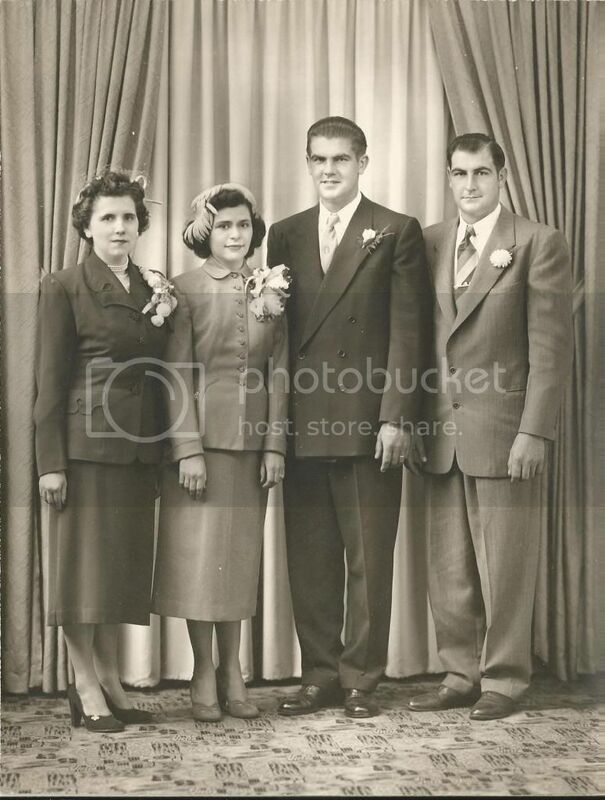 Very formal 1940's photograph. No other information. Tape cassette recordings by Volker Houghton. Before 'Top of The Pops' and 'Pebble Mill at One' the Jets played places like Letchworth Football Club. This recording is their complete second set of that night, with the exception of the second half of the last song. ALLIGATOR COME ACROSS (INCOMPLETE) VOLKER'S TAPE RAN OUT! If you would like to hear more of this kind of music Leave a comment or two. These sort of recordings are rare, if you like them let me know. We may post more. A big thanks to Volk, The Professer of Rockin' Sounds. I'll talk more about him in later posts. It seems unbelievable that four months after these excellent recordings were made Janis would be taken from us after being diagnosed with lung cancer. The songs are well sung with powerful vocals, energetic and strong, the voice of a seemingly well woman, add to that backing musicians of a high calibre and great song choices makes this an album that will be rated very highly amongst lovers of old and new rock ‘ n’ roll music for some time to come. This is an album of songs that should have been a starting point to another stage in the excellent recording career of Janis Martin. 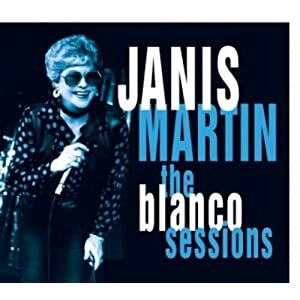 Now it is a reminder of what a great talent Janis was and I am mighty pleased Rosie Flores had the strength to see the Blanco Sessions finally released. The CD kicks off with two full on rockers, Ruth Brown’s ‘As Long As I’m Movin’ and the Ronnie Dawson inspired ‘Wham Bam Jam’. In between we get strollers in the shape of Dave Alvin’s ‘Long White Cadillac’ and Johnny O’Keefe’s ‘Wild One’, as well as Ballards. I could go on trying to describe this platter (Yes, you can get it in vinyl as well) in depth, but I suggest you just buy it and let the music do the talking. A few months ago I blew away the dust that had gathered on my old Dansette record player and pulled out of storage a few of my vinyl albums, extended play and singles I purchased back in my younger wild rockin’ days. After a few plays of several of these platters I realised how neglected these records had become. Some jumped as they played, but wiping them with a lightly damp cloth cured the problem. But a few were beyond repair. Sometimes I collected records that I used purely as wall decorations for my bedroom or record room at the time. I’m still trying to find ways (in my spare time) to bring some of them back to life using various editing programs. 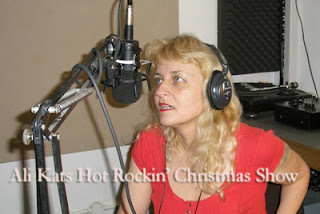 I'm not here to post newly recorded CD's by current Rockin' bands or post CD rips. 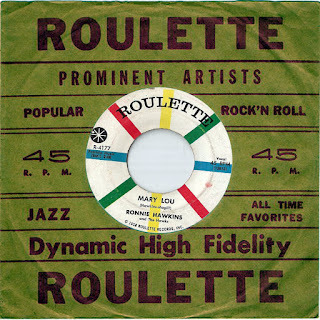 Occasionally a new band appears on the rock 'n' roll scene that I think sound vintage enough to grab my attention and with the bands knowledge and approval I'll post their demo recordings. So keep em' peeled. Lonnie Irving was an ex truck driver from North Carolina. 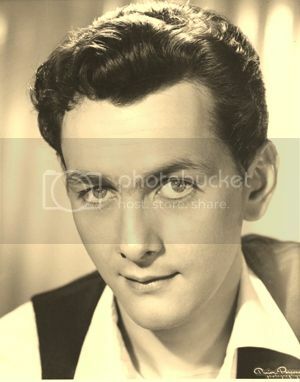 He recorded for Starday records until 1959 when he was diagnosed with Leukaemia. He died in 1960 aged just 28. 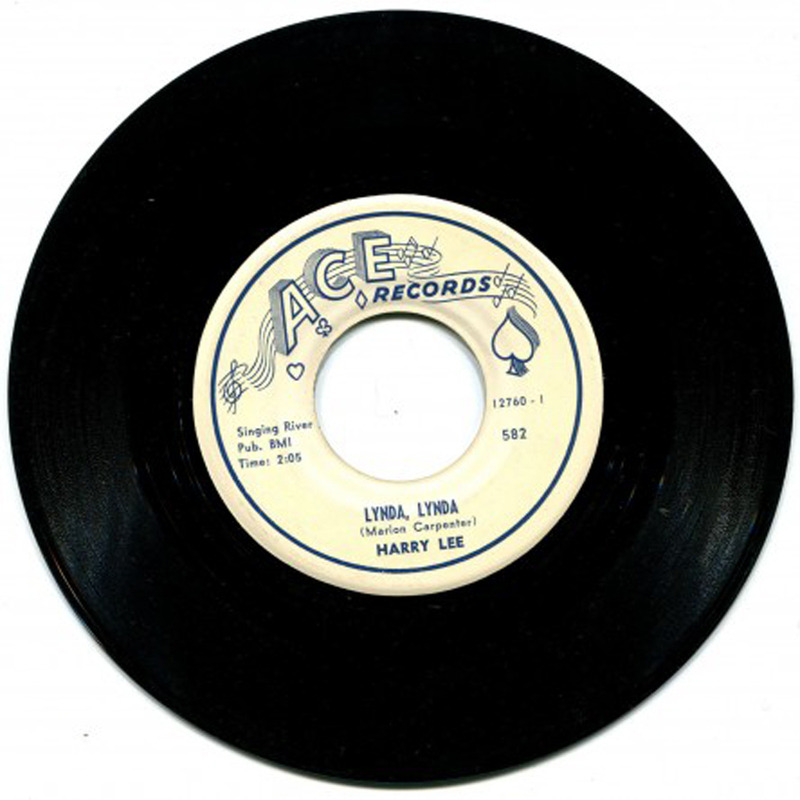 Pinball Machine was the record that got Lonnie on the charts. It's a talking tune in the style of Luke the Drifter. 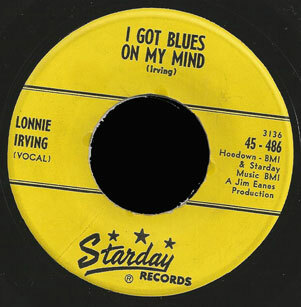 I prefer the B side 'I Got Blues on My Mind' it bops along nicely. The excellent 'Gooseball Brown' was originally called 'Goofball Brown' but the radio stations at the time asked them to change the wording, as Goofball was a drug used by truck drivers as an aid to stay awake while driving. 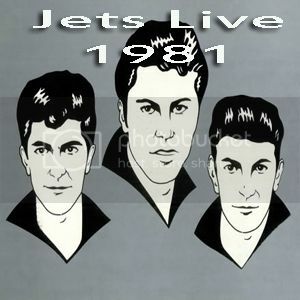 I’ll post some of the vinyl rips I have managed to save on this blog from time to time.